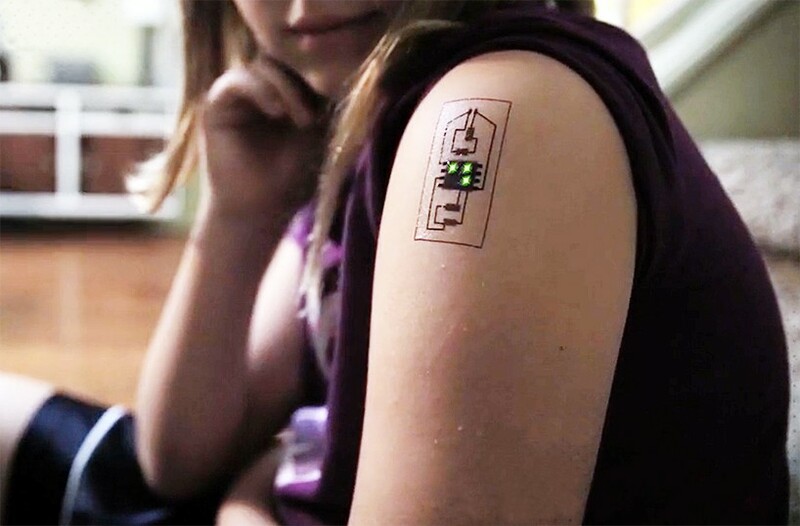 Tech Tats use conductive inks to create a circuit board right on your skin, providing a passive and unobtrusive alternative to standard wearables. 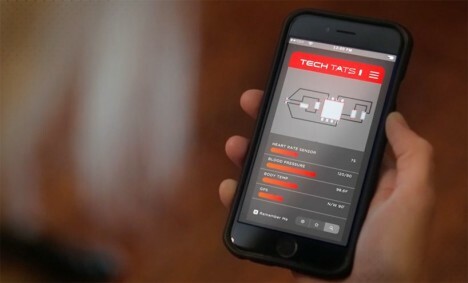 Smartwatches and fitness trackers tend to stand out (worn on wrists or around necks) and need to be taken off and put back on daily, whereas these tats (while temporary) can be applied indefinitely. The wearable can be used to monitor body temperature, blood pressure, stress levels and heart rate, then transmit data wirelessly to a mobile app or computer. Lying effectively flat against the surface of your skin, these complete circuits are easy to conceal or reveal depending on whether or not you want to show off your ink. The DIY-friendly design uses LED lights, a microcontroller and conductive ink – for now, the result is intentionally temporary, but permanently-inked versions could work as well. The applications are numerous, starting with medical but expanding to financial as well as other identification-oriented use cases. A wearable wallet could be tied to your banking information, for example, or you could apply a Tech Tat to your child during an outing to a busy place, providing an easy way to track them in case you get separated. 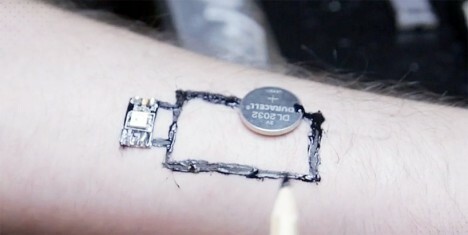 Chaotic Moon is currently developing both the wearable circuitry tech as well as related applications.